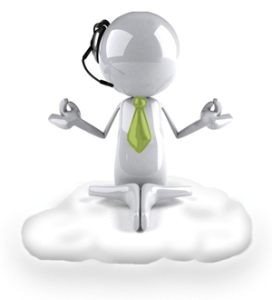 Numeric Futures is the ideal partner for cloud-based contact centre services. We have the expertise to deliver many cloud communication services. Our most popular cloud service called effECTive® enables a resilient international carrier grade: cloud contact centre, web-based interactive voice response service, network-based automatic call distribution and televoting. With this scalable technology we provide features on demand, saving you money and fulfilling changing market demands. The effECTive® Network-Based Contact Centre is a modular solution, competing with providers like Genesys, Cosmocom and Cisco but at more effective SaaS (Software as a Service) prices. effECTive® has a single focus: contact with the customer should be easier, faster, and far more efficient. Your contact centre can be reached by phone, fax, e-mail, text message and the Internet. Handling these diverse types of communication can mean a lot of extra work when managing your contact centre and therefore you need to find a way to allow your customer to be reached more easily. In this respect, agents receive the required information (e.g. CRM) whenever and however the client makes contact. That’s why Numeric Futures have teamed up with our major carriers and ECT* to offer you an effECTive® solution. You will be able to distribute calls to different locations by means of a dynamic and targeted routing process, with media-independent queues that manage all inbound contacts and ensure optimum use of capacities. Of course you will be able to monitor and measure results, easily. Management reports the way you want them.